Magic Gold, was announced to the world in December 2011, but we decided to wait until closer to Baselworld to feature it, as the first collection of Magic Gold watches will be launched at Baselworld 2012. 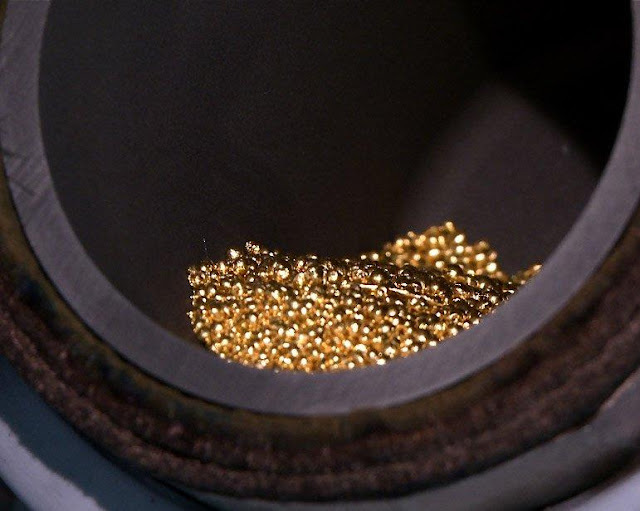 Magic Gold, a revolutionary new gold alloy that is both ultra-strong and resistant to oxidation, was developed in collaboration with the Swiss Federal Institute of Technology Lausanne (EPFL), and it’s set to revolutionise the world of watchmaking and jewellery. Working closely with Hublot for three years, a team headed by Andreas Mortensen, Professor at the EPFL, successfully created a "fusion" between 24-carat gold and ceramic (boron powder). Virtually non-corrosive, this new metal is the first gold in the world to be scratchproof, thereby eliminating the traditional weakness of gold and its alloys. The hardness of metals is measured by the Vickers scale. While “normal” 18-carat gold registers 400 Vickers, Hublot’s Magic Gold apparently obtains a hardness approaching 1,000 Vickers (most hardened steels measure 600 Vickers) and so this gold alloy is tougher and more scratch resistant than 316L stainless steel. This new alloy can only be scratched by diamond, laser or electro-erosion and as a result Hublot claim it to be the hardest alloy in the world. The creation of Magic Gold required the installation of a high-tech foundry on the premises of the Nyon based manufactory. The 18-carat Magic Gold, like all other 18-carat alloys, is composed of 750 parts per thousand of pure gold. It can therefore be stamped AU 750. 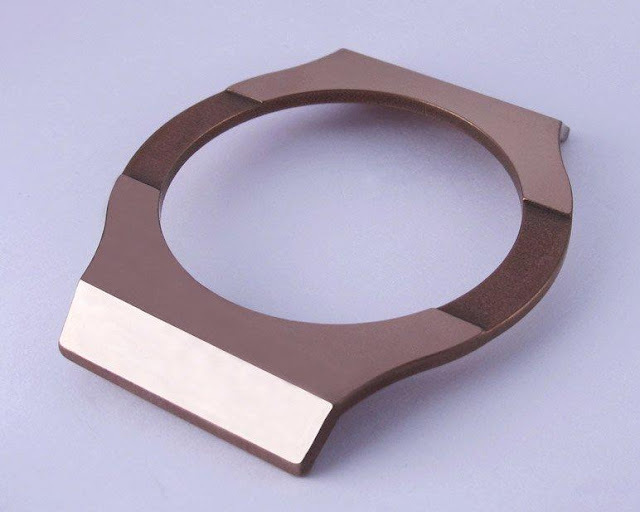 Magic Gold is big news not only for the watch industry, but also for various industrial fields, since it can also be applied to materials other than gold including platinum, silver and aluminium. 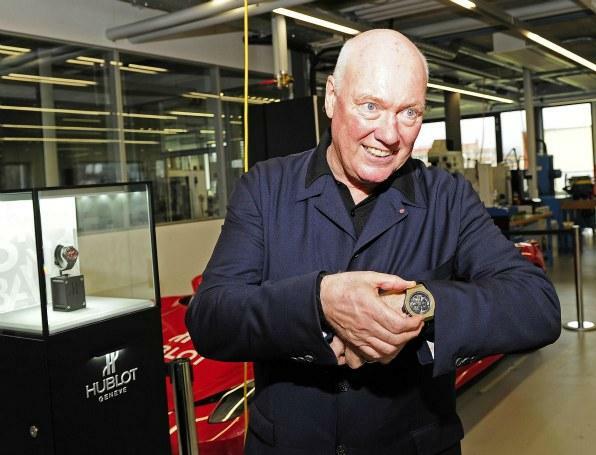 Biver is in talks with Ferrari for the production of aluminium engine parts. The Hublot Chairman wants Magic Gold to have its own distinct colour that allows it to be readily identifiable at a glance. 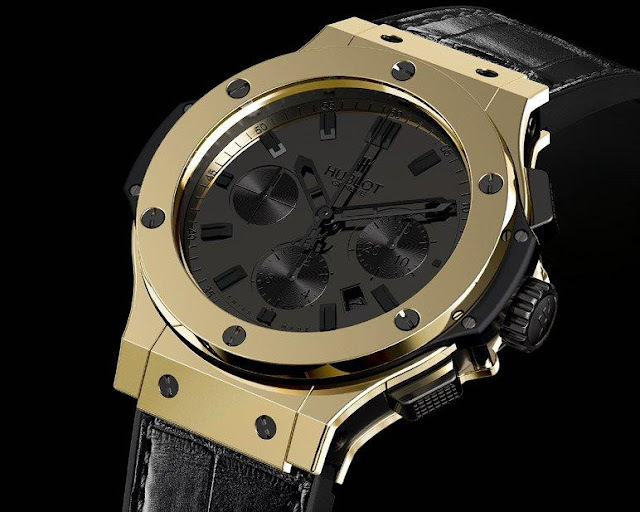 Look out for the first timepieces including the Hublot Magic Gold Big Bang at Baselworld 2012. And the price? Expect premium pricing for some time to come while Hublot recoups on three expensive years of research and development.